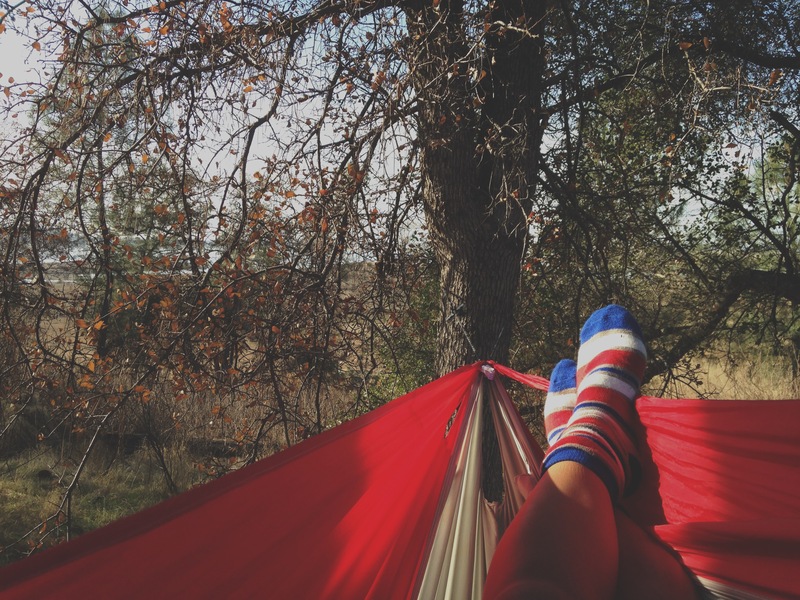 This photo was sent to us by Ashlyn in California, who has really come to love her Easy Traveller Hammock. We received a great email from Clark in Michigan last week and thought it was worth passing on. Owner of a pair of our TriLite Cots for several years, the cots’ covers had recently started to come apart — so we sent him two replacements. Sure, you’ve stumbled upon this post and are thinking to yourself that this reads like shameless self-promotion. And, in the interest of full disclosure, that’s probably a little bit true. But the story behind the story illustrates a much larger picture. We take customer service — nay, customer satisfaction — seriously. Very seriously. Originally, Clark had written to us only to inquire about purchasing replacement parts. We felt that the right thing to do was stand behind the cots, given Clark’s backstory detailing how long he had owned them and the type of use to which they were subjected. It got me wondering — what makes us buy something? For most of us it’s expectation. No matter if we purchase a TriLite Cot for a camping trip or fresh broccoli at the supermarket, we expect certain things as consumers. We have every right to expect that the cot will perform as advertised and provide a comfortable night’s sleep. Likewise, we should certainly expect that “fresh” broccoli will, in fact, be fresh and offer us the flavor and nutrition we believe it should. Speaking of expectations, here’s an email from Jerry in Tennessee. His TriLite Stool had been on the trails with him for years and was in need of some TLC. In fairness to Jerry, he should have “expected” more from us. When he purchased his TriLite Stool, would he not have expected it to be as lightweight, compact and — maybe most importantly — durable as we originally promised? Sure, he should have. That’s why we helped him make the situation right. There is competition in every marketplace. There are alternatives to virtually every product in the world. There are expensive options, cheaper options, local options, global options and option package options. Options upon options. There are just too many options to count. The one option every single Byer of Maine item comes with is one you never even have to ask for: Customer service. It seems every company is there for you when you are on the cusp of making a purchase. They’re happy to walk you through the sales pitch, the options, the final dotting of the i’s and crossing of the t’s. We’re for here for you then, too, but just as importantly, we’re here for you long after that. Sometimes, things go wrong. It happens. A company like ours strives to put our best foot forward every day and make sure you have the best possible product in your hands — the one that exceeds your expectations — but there are always variables. Hey, porcelain cracks, wood warps, the in-laws don’t like the color you ordered for them as a gift. We know that. That’s why we make sure we fix it. We make it right, and we’ve been doing things that way for more than 130 years. 10-4. Will do. After all, you’ve come to expect it. This entry was posted in Birding, Camp Furniture, Cots, Hammocks and tagged Birding, Byer, Byer of Maine, folding cots, Hammock, Hanging chairs, Traveller by beckybyer. Bookmark the permalink. I love my Byer Cots, they are great for camping or the extra guest. They are light, durable, and easy to store.